Appreciated for its versatility and manoeuverability, the Dorado Classic now has the new FARMotion engines and extends its range with new models and various configurations designed to meet every specific need. From the 80 version, perfect for farm jobs, even in small spaces, to the more powerful 90.4 version, capable of dealing with the most difficult jobs, is also appreciated for its comfort with an ergonomic cab with a four upright structure for maximum visibility. In addition, thanks to the low centre of gravity and the integral four wheel brake system, it offers considerable safety even when working on steep slopes. "You notice immediately when you have an engine designed for agriculture." Dorado Classic has the new FARMotion engine, specifically designed for agricultural use and compliant with the Stage III B standard. A latest generation compact 3 or 4 cylinder Common Rail (2000 bar) engine, able to generate high performance and constant power in any operating conditions. The new head and combustion chamber geometry also helps to improve the diesel combustion process, exploiting all the potential of the engine and reducing consumption. Respect for the environment is ensured by the EGR external exhaust gas recirculation system and the DOC post-treatment system. "For me, simplicity and reliability are the guarantee of proper functioning." Dorado Classic has a mechanical shuttle and 10+10 gearbox (5 gears by 2 work ranges) or 30+15 with mini and supercreeper gear. Both differential locking and dual traction insertion are mechanical and provide, whenever necessary, the greatest possible traction. 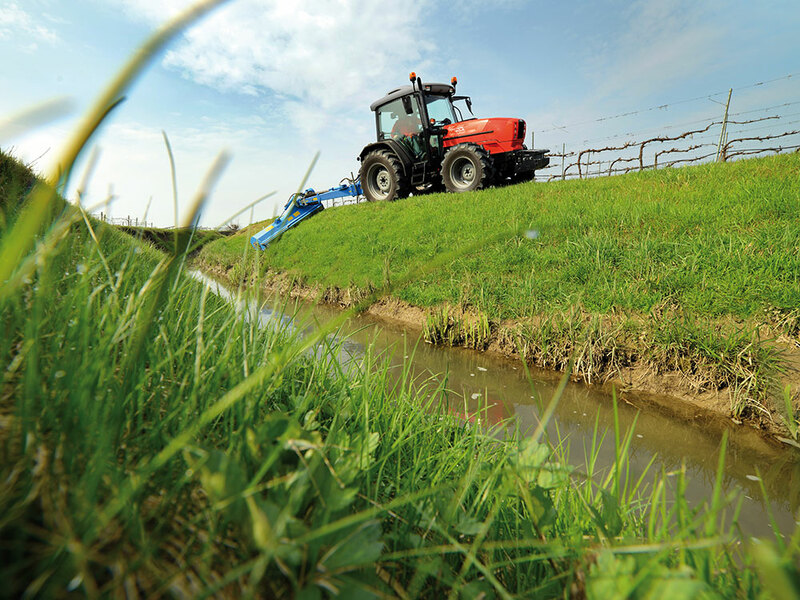 "I want a tractor that facilitates my work with all types of equipment." Dorado Classic has been designed to facilitate the use of any equipment. For this reason it is fitted with a 42 l/min hydraulic system and 4 or 6 way mechanical distributors that contribute to optimum load management. The rear lifter has a lifting capacity of 2650 kg which can be increased to 3600 kg with optional auxiliary jacks. The wide range of PTO speeds available (540-540ECO-1000 and ground speed PTO) provide all the flexibility required for any piece of equipment. "With all the controls at my fingertips, every job seems easier." In the Dorado Classic everything is designed to be truly functional with maximum working comfort. The 4-upright cab ensures optimal visibility for perfect control of the entire surrounding area. Perfect handling of this tractor range is ensured by controls arranged in an intuitive manner and by colour coding that groups them by functionality. Fuel tank capacity 75 L.